Niall Leonard isn't just the talented author of the Crusher Series, he is also the screenwriter for Fifty Shades Darker and E.L. James' husband. 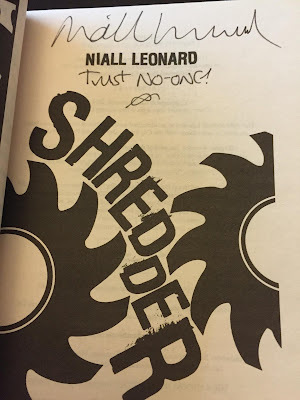 To help welcome Niall Leonard to Team Fifty, we've teamed up with his official fansite, Niall's Nation, to give away an autographed copy of Shredder, the latest book in the Crusher Series. Enter the contest through the raffle copter link below for your chance to win. Share the contest on all of your social media with the hashtag #JointheNation for additional chances to win. The contest will run through November 11, 2015.